Introducing the latest collection from Paper-Roses. I've added some great new designs to Paper-Roses’ growing selection. You'll find four gorgeous new card designs and a fabulous set of three new note cards (which are, of course, available in a beautiful boxed gift set) in my online store. 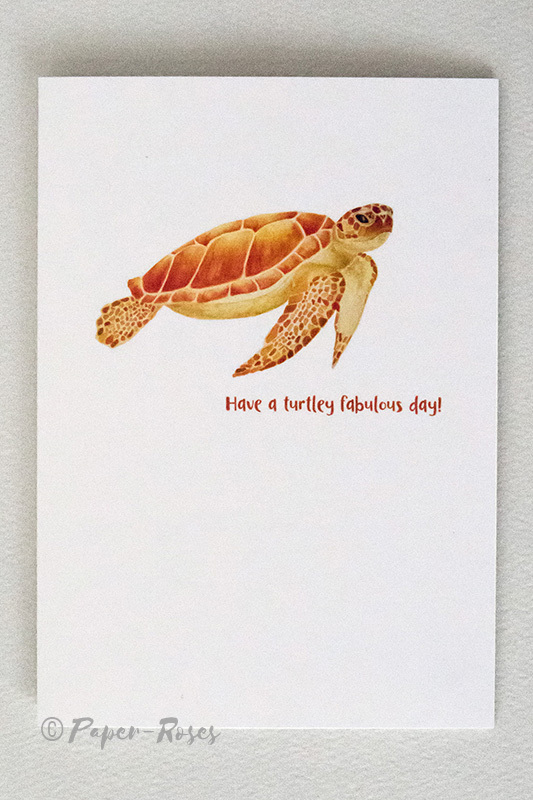 As it’s summer, think colourful and zesty designs - with ice creams, oranges, and turtles.